In a welcome development, the state of Indiana is picking up the ball dropped by the federal government and holding six hearings to determine the impact of illegal immigration on the economy. In 2011, Senator Mike Delph (R-Carmel), a champion of true immigration reform for years, led the charge with an omnibus immigration enforcement measure, the Senate Enrolled Act (SEA) 590, which requires the state’s Office of Management and Budget to calculate the costs of illegal aliens to Indiana and make a written request to the Congress of the United States to reimburse the state. But when the state issued its report, it found that illegal aliens cost the state $110 million in education costs. That figure is way too low. Illegal immigration could be the largest unfunded mandate the federal government has ever passed on to states and municipalities and the impact is especially being felt in the schools. Ever since the Unaccompanied Alien Minors from Mexico and Central America began inundating our border in 2014, Indiana has shouldered the cost of $9.7 million to educate 877 students in English as Second Language (ESL) programs, which also serve refugees and legal immigrants. In all, Indiana educates 55,986 ESL students, 5.5 percent of all students statewide, at a cost of $609,759,457. In Indianapolis, the percentage of ESL students has grown from 13.5 in 2012-2013 to 15.6 in 2014-2015. To adequately serve the ESL population, moreover, the National Clearinghouse for English Language Acquisition contends that the 2,179 certified ESL teachers statewide will need to be supplemented by another 800 teachers, which would cost an additional $153,287,424. This will be a difficult burden to bear in Indianapolis because the 2016-2017 budget in Indianapolis will operate at a $5.4 million shortfall, which it plans to pare by selling underused or abandoned real estate assets and contracting janitorial services. But the real shame is that all this money buys terrible results. 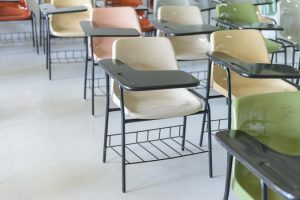 The state gave the Indianapolis school system a D grade, an improvement over the F grades received between 2010 and 2013. The percentage of students in Indianapolis who passed Advanced Placement exams is a dismal 8.2 percent. After the state initiated new “college-and-career ready standards” in 2014-2015, just 29 percent of students met the goals. For a locality so far from the southern border to have these kinds of problems is emblematic of the issues facing our states and municipalities. In Indiana, and elsewhere, the costs go beyond monetary outlays, which are almost six times higher than the Indiana Office of Management and Budget admits. ESL students are a drain on the system and their presence diminishes the quality of education for citizens. I’m glad to hear Senator Delph is doing the right thing for our country. We are involved in cutthroat global economic competition with countries like Japan that aren’t dumb enough to be doing this to themselves. And since we changed our immigration laws in 1965, and allowed millions of illegal aliens to invade our country, we have gone from the world’s largest creditor nation with the world’s largest trade surpluses to the world’s largest debtor nation with the world’s largest trade deficits. Japan, by contrast, which has not embraced similar open borders immigration policies, is now the world’s largest creditor nation and has been running trade surpluses among the world’s largest. Immigration is not the only reason for America’s declining economic performance, there is also trade policy and the cost of fighting a lot of “small” wars, but the point is that the era of mass illegal/legal immigration into the US has also been a period of relative American decline.